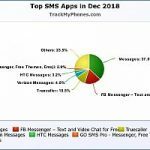 “Track My Phone” and “Track My Phone Pro” Apps helps recover your mobile when lost or it can simply be used to track mobile from website real-time. Many of users have already found their lost mobile. So its important you keep the app installed in your mobile at all times. There will be no impact on battery as the app runs only when you initiate command from web. 2. Take pic from front/back camera. The pic will be emailed to your registered email address. 9. Lock your device. This needs admin privileges. 10. Change PIN of your device. This also needs admin privileges. All above features are available via web. If you want to operate your mobile via SMS, you need to use “Track My Phone Pro” Version. Following are the additional features supported in “Track My Phone Pro” App. 18. Get SIM change notification SMS. You will receive a SIM change notification SMS to a pre-configured number. So whenever a SIM is changed, you will know the new phone number of the device so you can get in touch with the thief instantly. The last feature will help you get back your mobile when its stolen and thief replaces the SIM with new SIM. Our app will detect at the boot whether there is a SIM change and if it is then it will send one SMS from new SIM to a pre-registered number. 2. Register by providing an email ID and PIN (no spam mails guaranteed). That’s it. Your mobile is now ready to be tracked remotely. All the features are totally free. Please note that to Uninstall the app you need to deactivate admin privileges that you have provided to the app. To do that, you need to open the app and click on deactivate button and then uninstall. Install the app in your kids phone or Spouse phone (with their permission ofcourse) and check from website where they are and what they are doing. You can alert them if you want to say something just by entering the message. If you think they are in wrong company, just enter your number and the mobile will call you without the user getting to know and you can hear the conversation. If you just want to check who all with them take a picture from front and back camera. If you just want to warn them subtly, ring alarm. If you want to play a prank, Scare by using our Scare your friends feature. Install the app on your mobile and test all features once so that you are aware of the working and can make best use of it when its lost. Incase your mobile gets stolen or lost, try calling to your number from another phone if it works then there are good chances of knowing about the thief and/or location of your mobile. If GPRS/3G is disabled then you can enable it by sending SMS (list below). First change pin so that thief is not able to use it. then get the location and picture from front camera. Take few picture from back camera as well. Once done, show message on the mobile asking him to call back to another number. If thief tries to change the SIM, you will get SMS to pre-configured number and you can call back to that number. Incase everything fails to get response from thief and you have enough evidence about him (Pictures and location) we advice you to go to police station. Directly trying to meet thief can be dangerous. SMS Command support is removed as the new Google Play policy forbids apps from reading SMS. TrackMyPhones.com and its application is designed for monitoring authorized phones only. The Products and software related services on this website are provided to aid home and “guardian users” in and as domestic monitoring solutions and also as Anti-Theft Solution. It is important to accept the terms before you use. Its illegal to install the app or use any of our service in unauthorized mobile. Is it possible to record VoIP calls on Android? Is it possible to locate a phone without an app? Remote Call Recorder does not work after inactivity? Lock all device? We cannot lock them and even if we do how you plan to use them? I used for product for a while. It’s has too many loopholes. It’s does not working properly > Android 4.0 versions. What ever pics and videos it talking it’s showing in gallery so obviously he/she will get doubt and delete app. And I didn’t see app hide option. Anyway it’s kind of good app but not up to mark. Hi Malik, Thanks for the feedback. its not a spy app so user will definately get to know. You might want to try http://trackingsmartphone.com app for that. This app is not available if playstore . So tell me another way..
Its available now. We had taken it offline to remove SMS functionality as Google Play has revoked apps from using SMS features. © TrackMyPhones.com. All rights reserved.